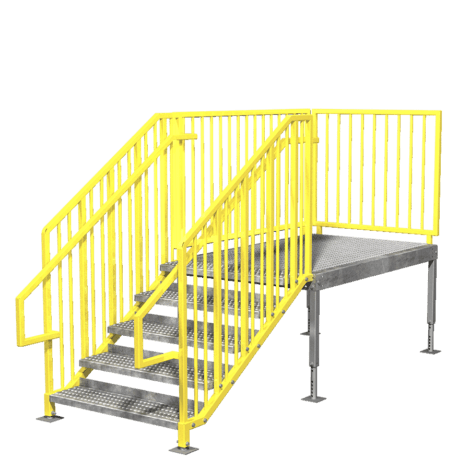 IBC and OSHA compliant portable stairs. 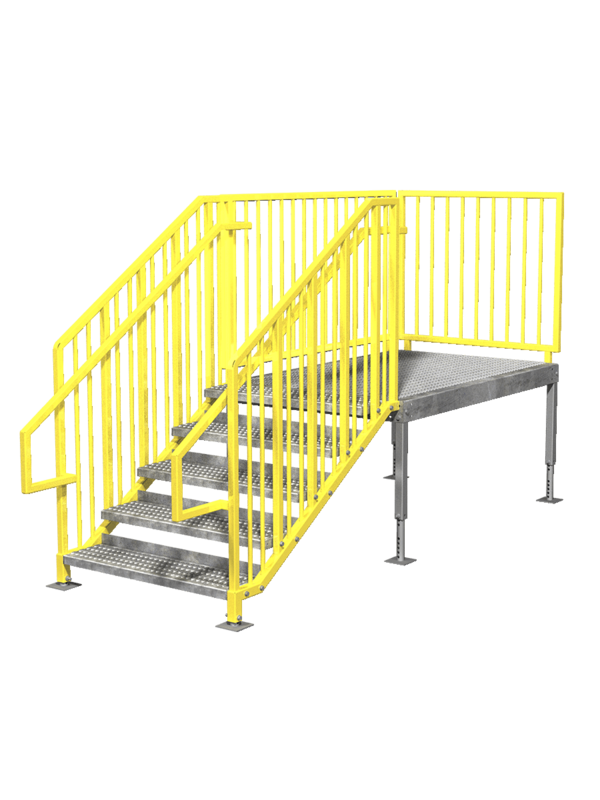 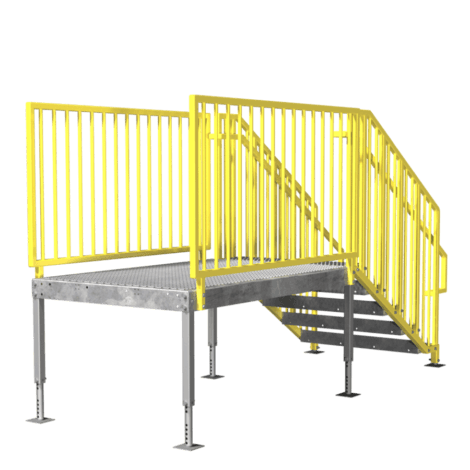 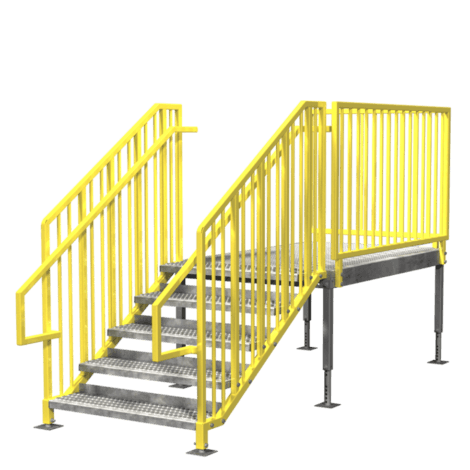 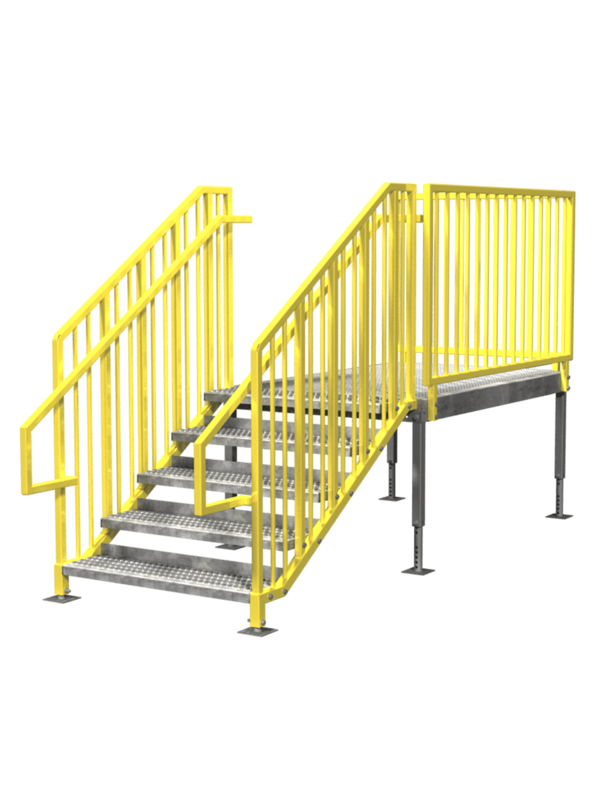 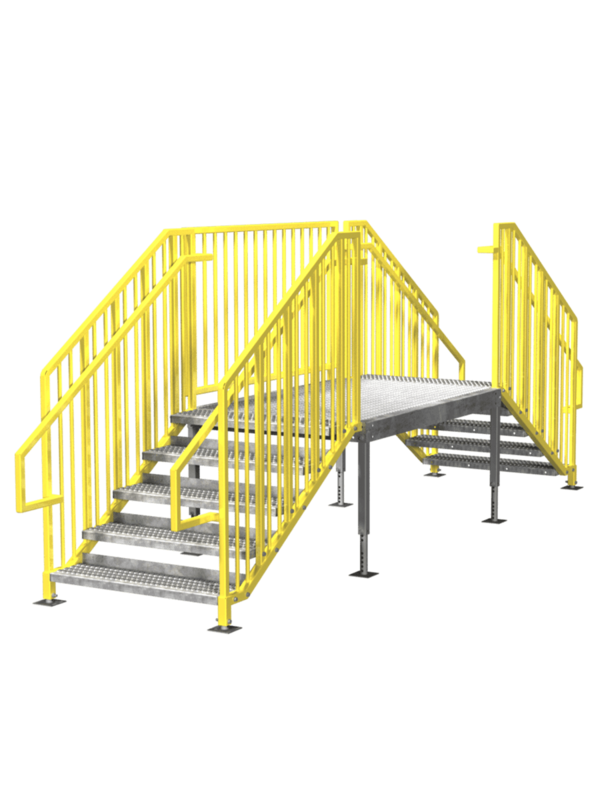 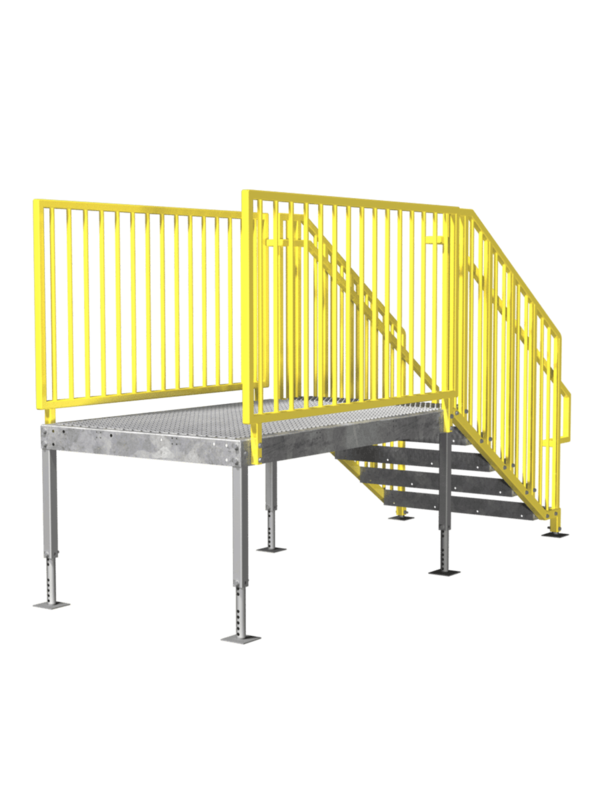 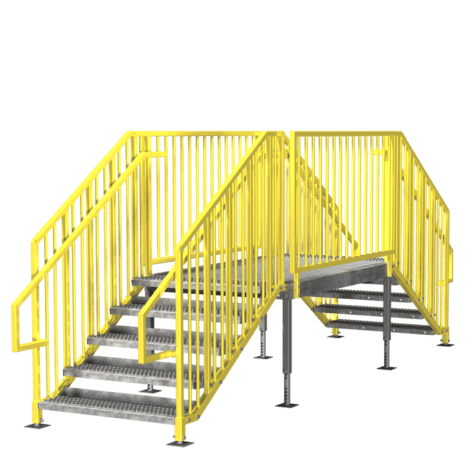 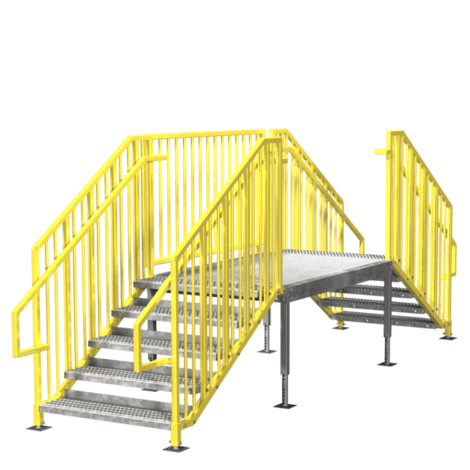 As with all ErectaStep Metal Stairs, our portable metal steps come standard with more features like a large, slip resistant, 4x6' and 4x4' platforms with the ability to have steps from either the front, side or two sides. 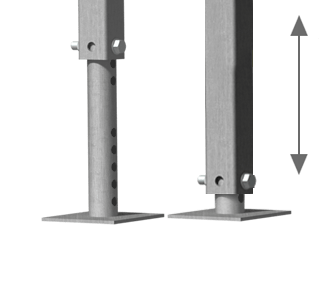 Available in sizes from 28" (711mm) to 63" (1600mm) inches high. 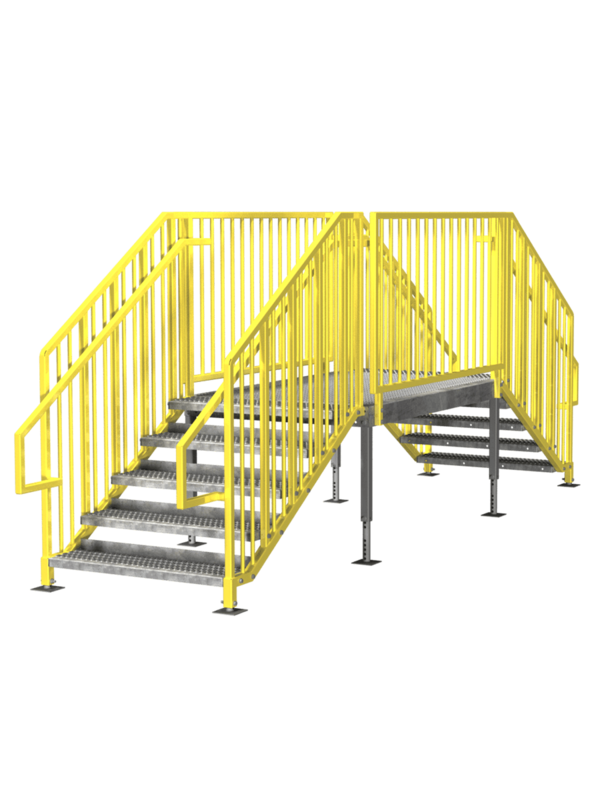 All have field adjustable telescopic legs that allow the unit to adapt to virtually any terrain for easy setup and leveling.